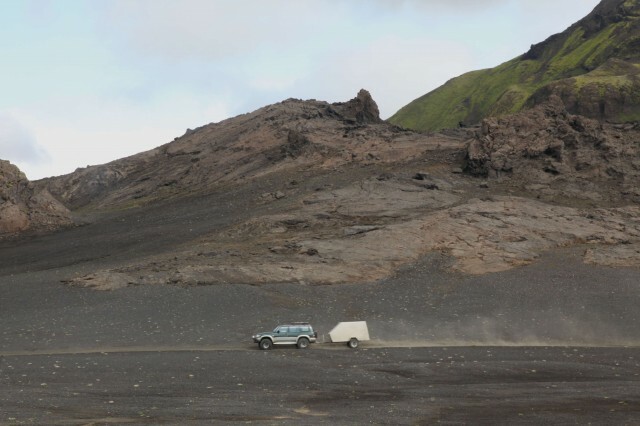 It is one of the last unspoiled landscapes on earth. 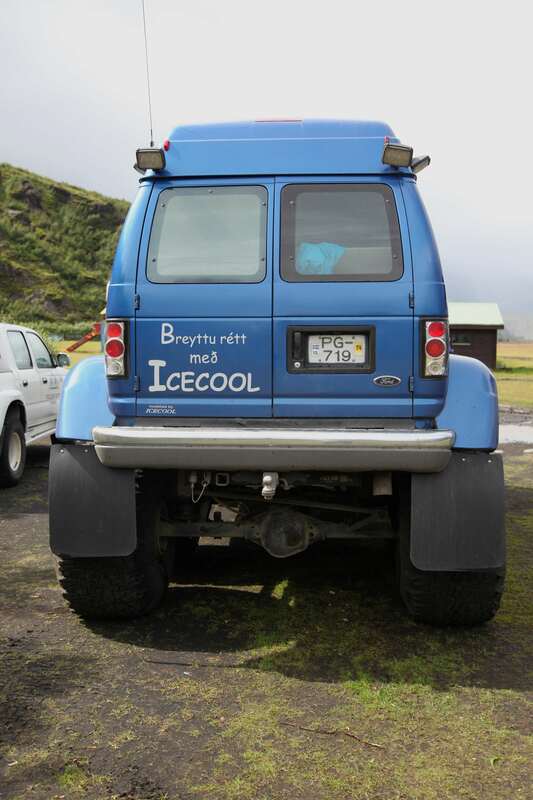 Home to volcanoes, glaciers, and hundreds of miles of remote backroads, Icelanders rely on vehicles like few others to explore this tiny island nation. In a short three week visit, I managed to photograph only a handful of these ubiquitous adventure mobiles. Many are used to ferry tourists into the remote corners of the interior. 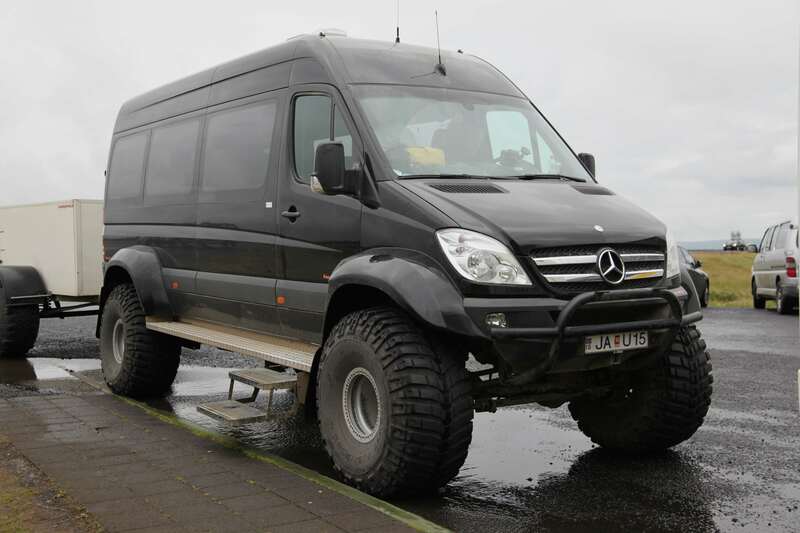 Hundreds are available for rent if you dare to brave the fee. Several were brought to the island from as far away as South Africa. 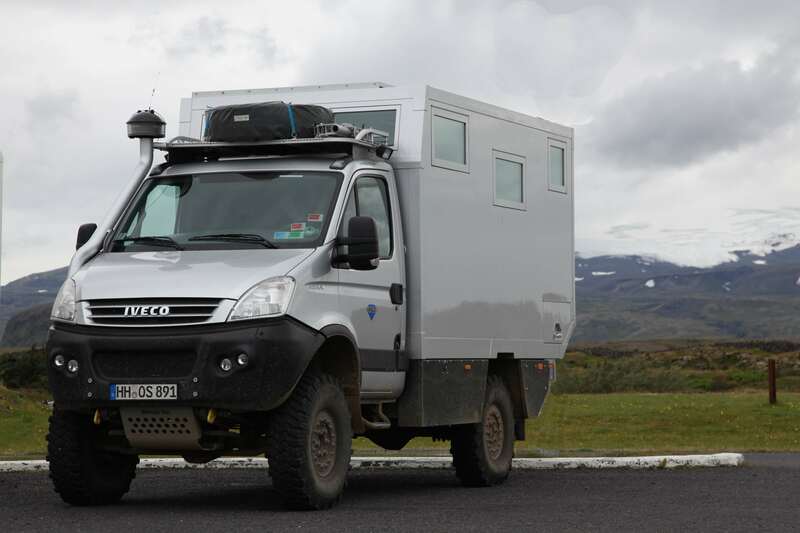 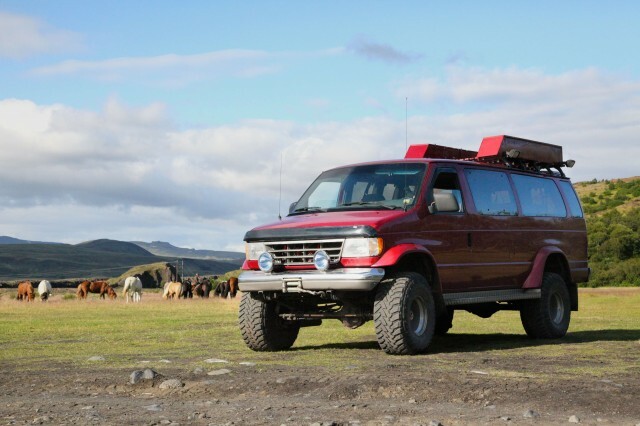 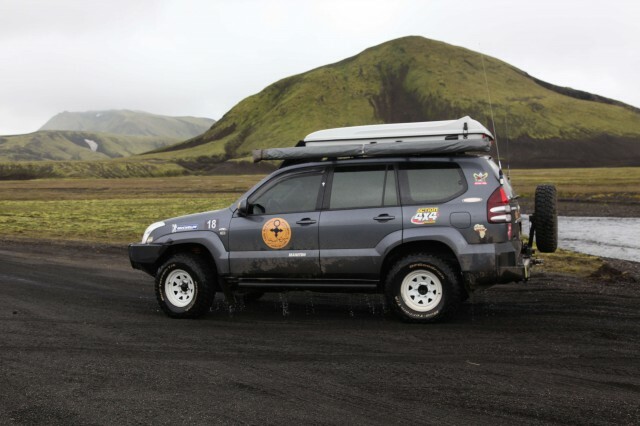 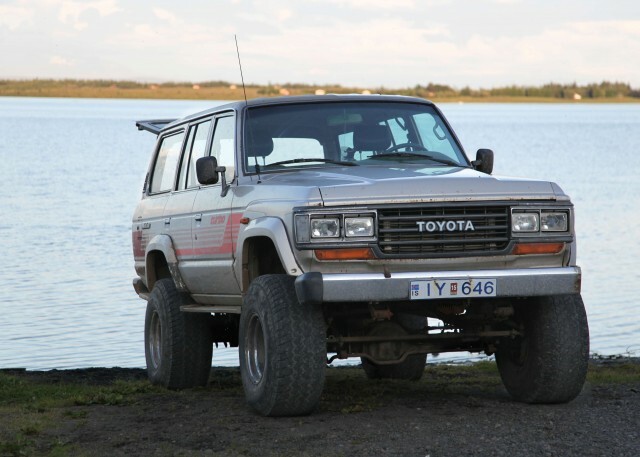 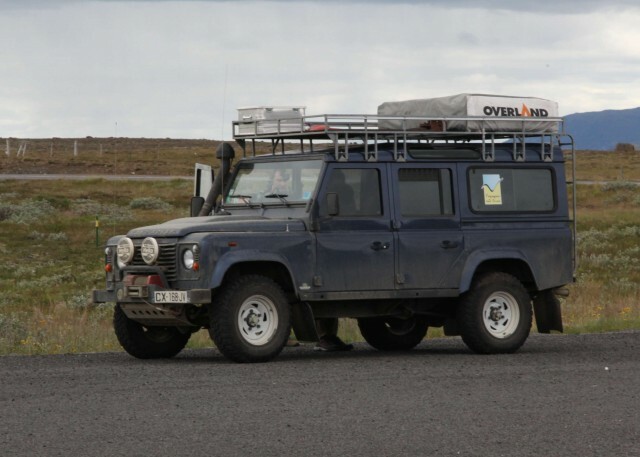 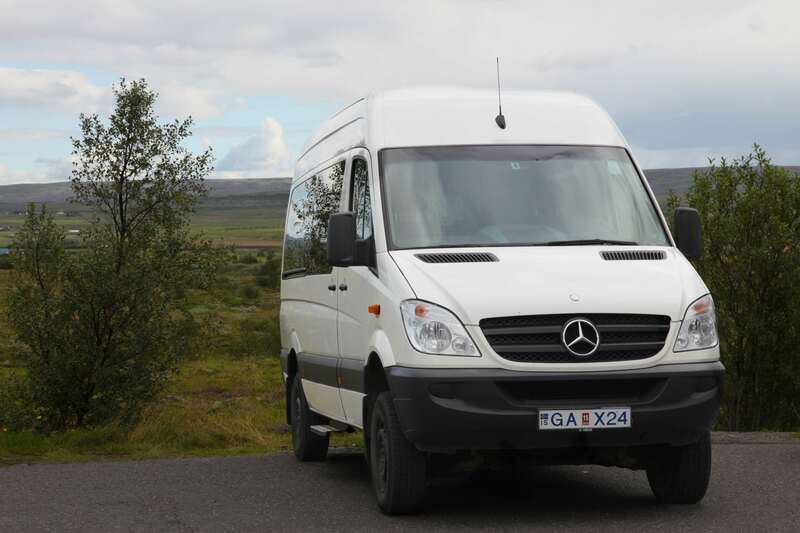 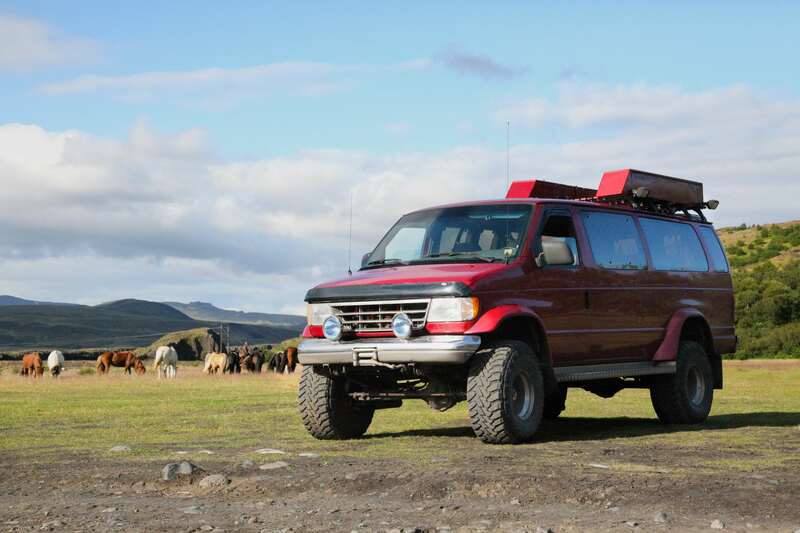 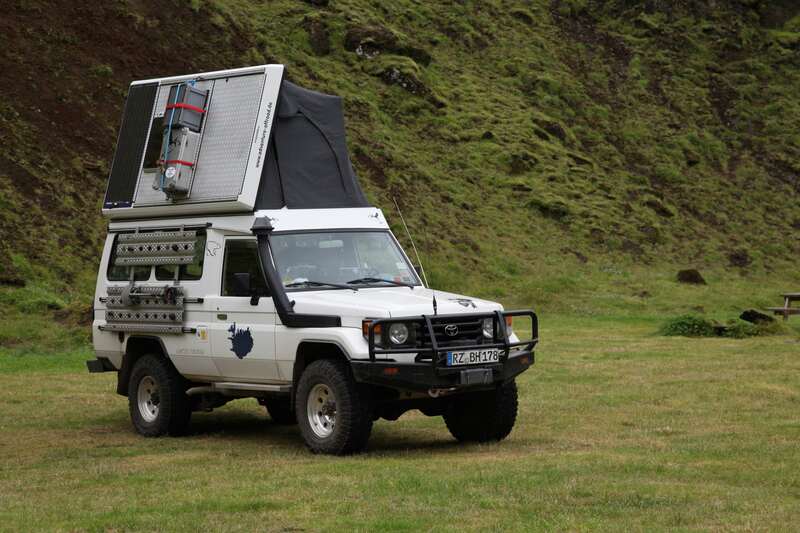 Overlanding Iceland is as good as it gets regardless of your mode of transportation. 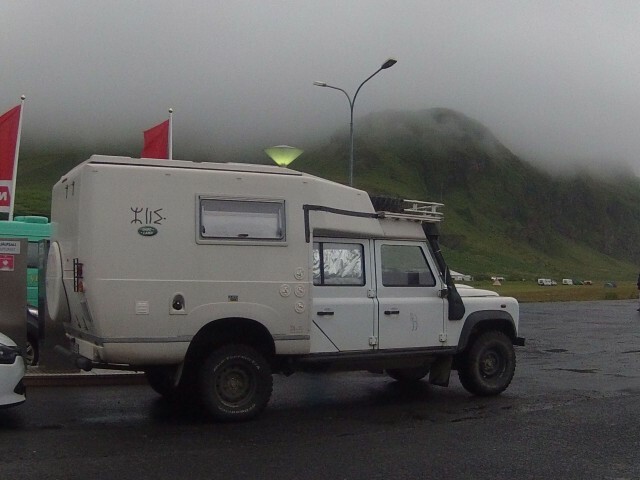 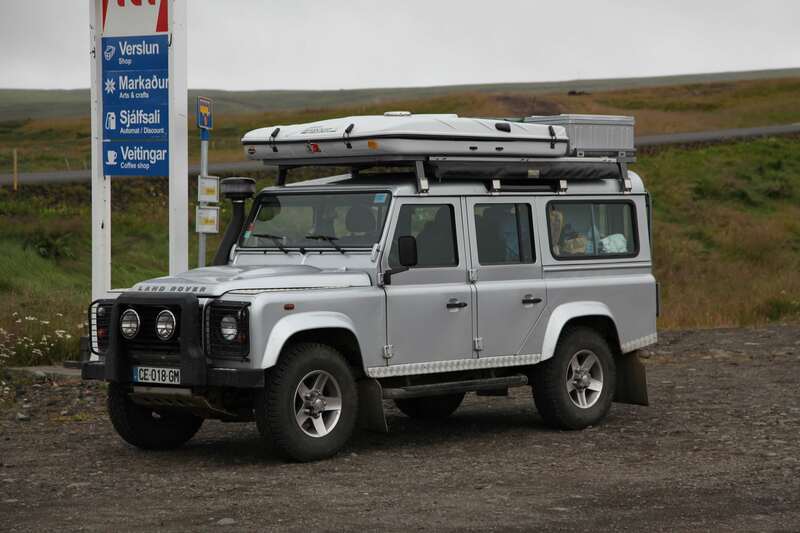 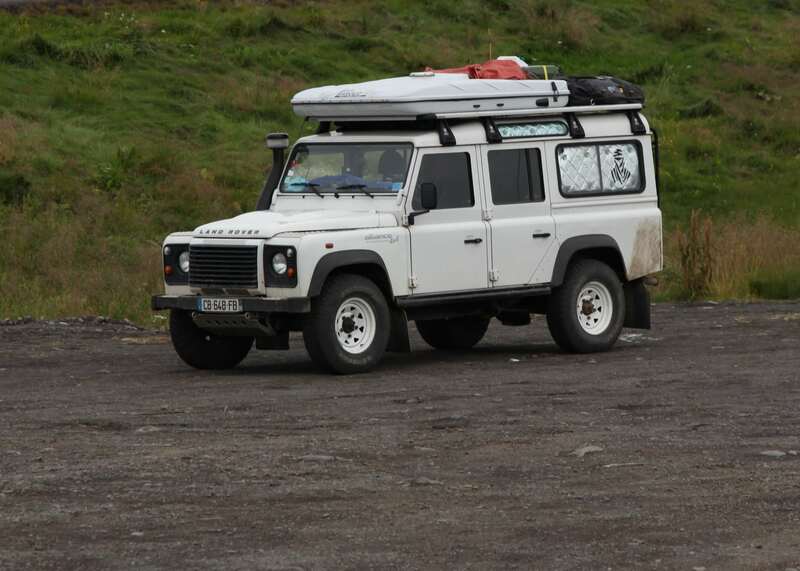 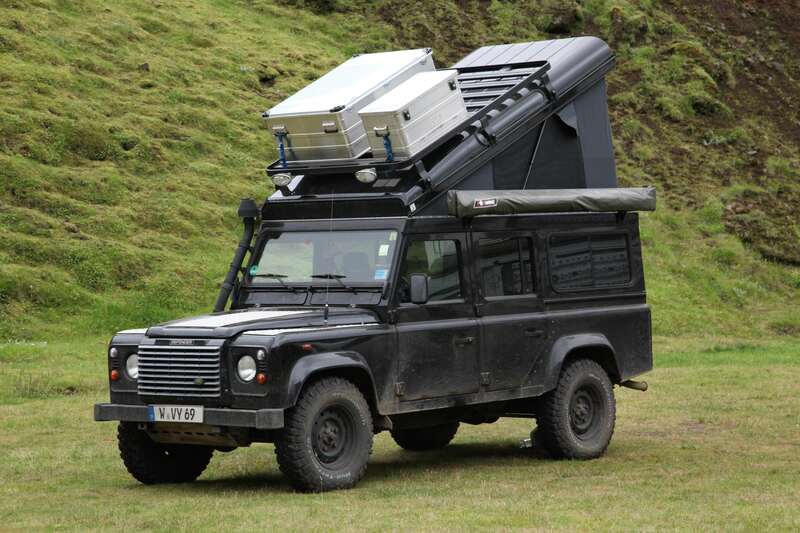 This couple from the UK had spent the last seven weeks touring Iceland and the Feroe Islands. 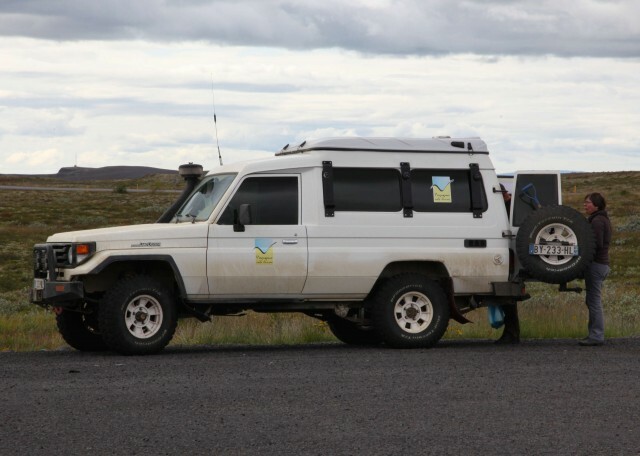 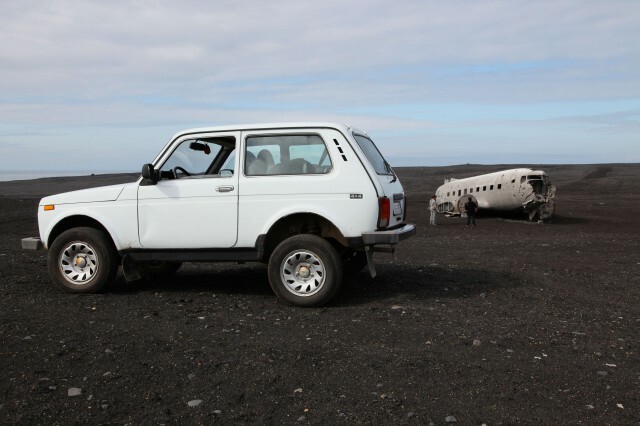 For a rather significant amount of Icelandic Kronur, these backcountry taxis will take you where every you care to go. 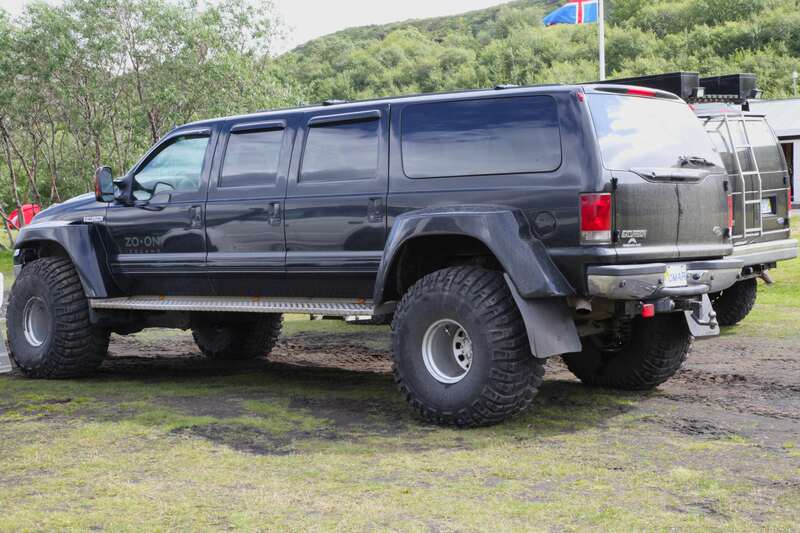 When in doubt, always go with more wheels. 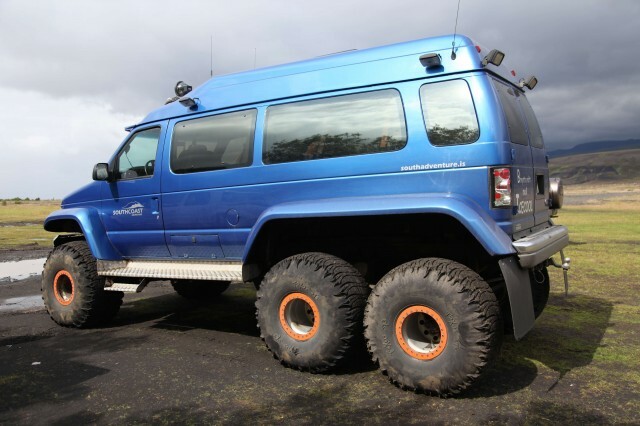 Another backcountry taxi, this truck was rented for the day by just one lonely guy. Maybe he had lots of luggage. 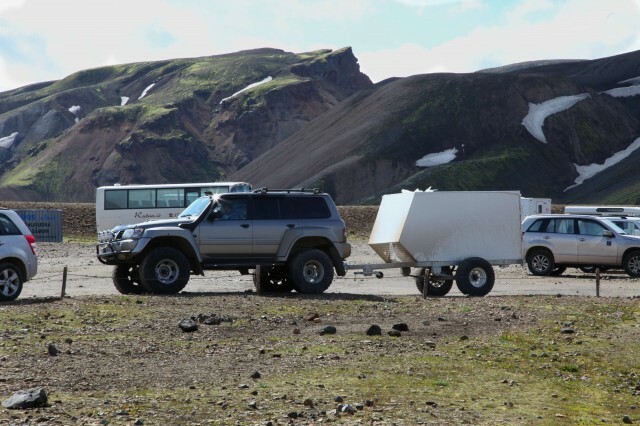 Many of these rigs are used near the interior trekking trails where they are used to ferry gear and supplies from one hiker’s hut to the next. 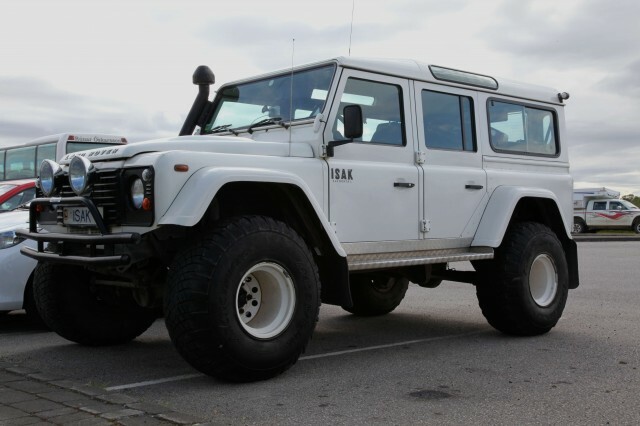 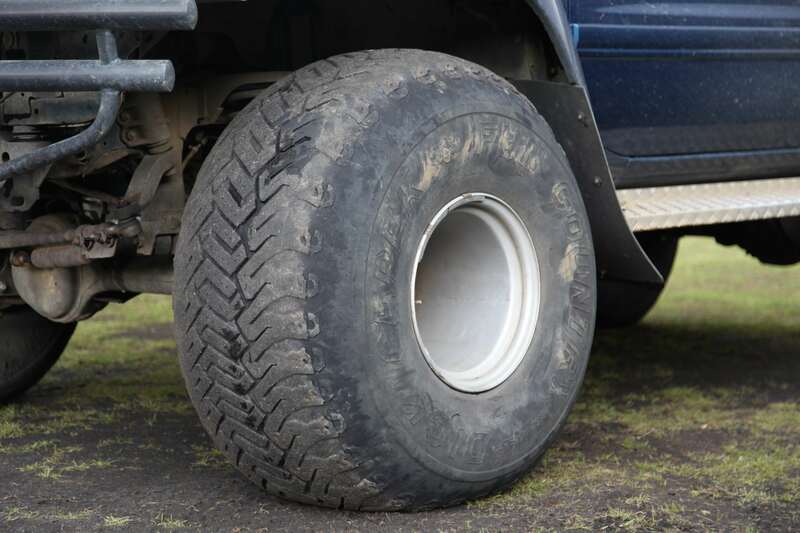 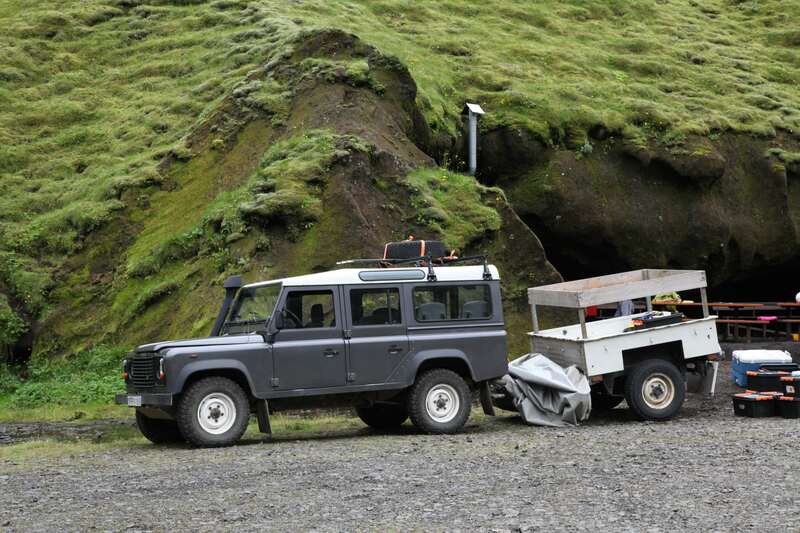 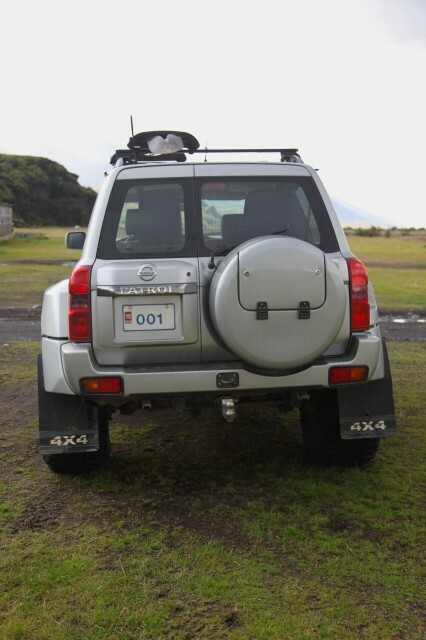 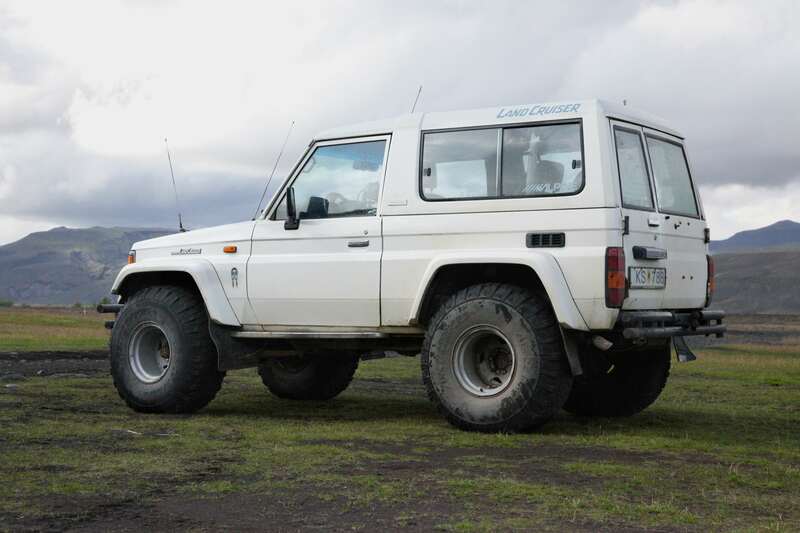 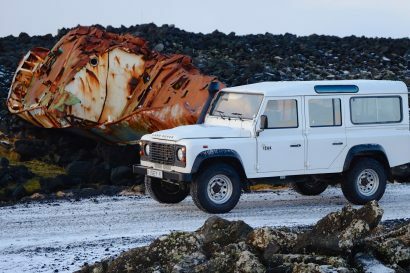 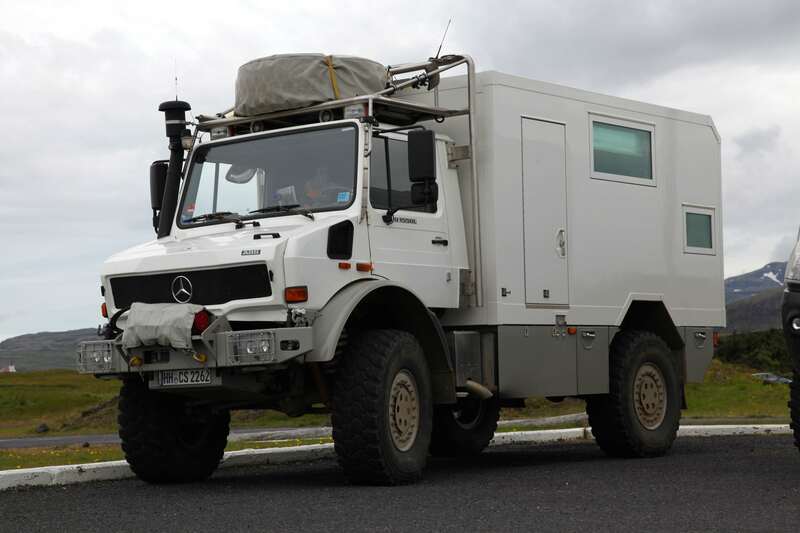 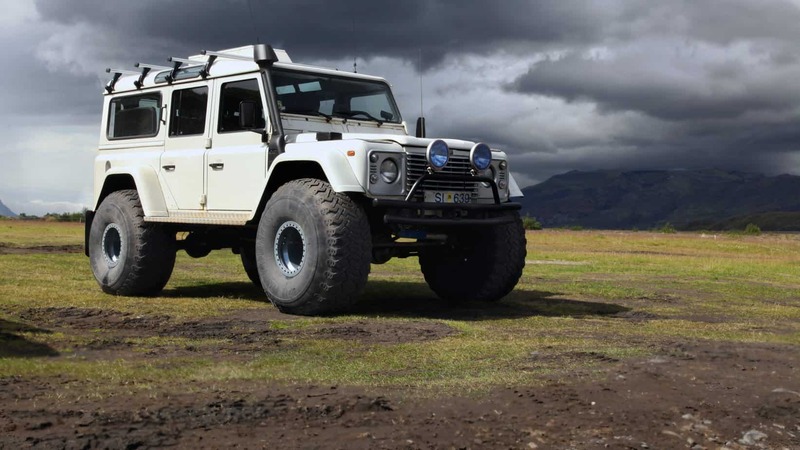 Not your average rental, the white Defender 110 with swollen feet is perhaps the most common 4×4 on the island. 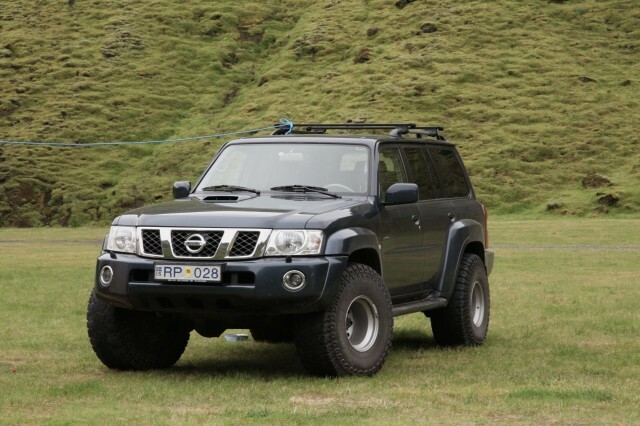 The Suzuki Jimny is the rental darling of Iceland. 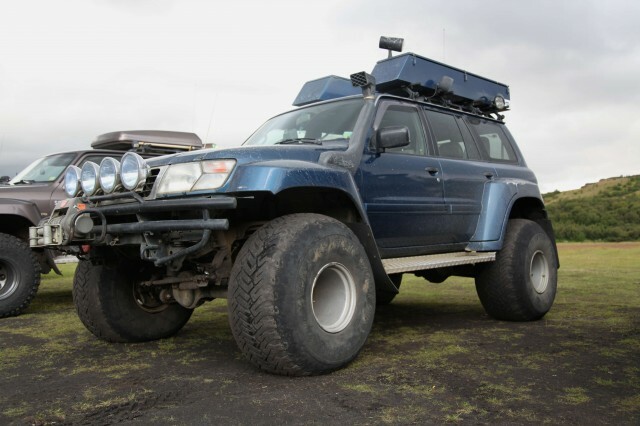 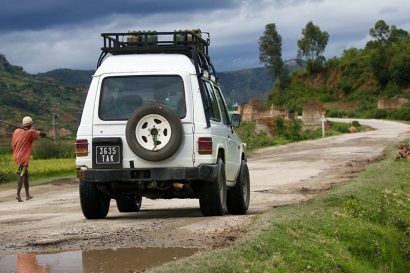 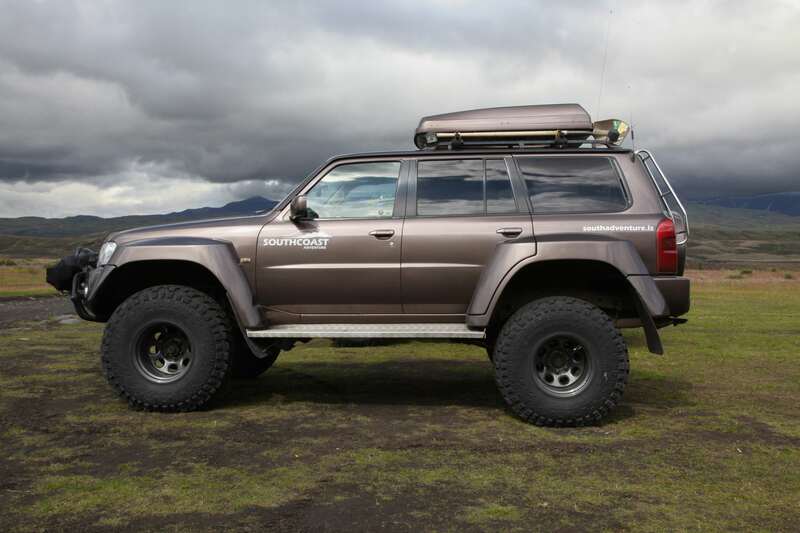 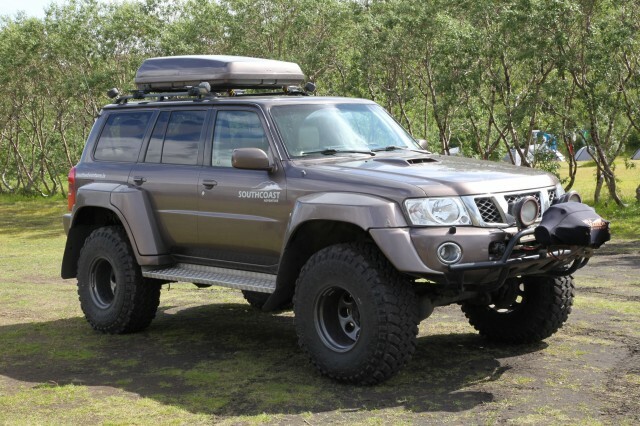 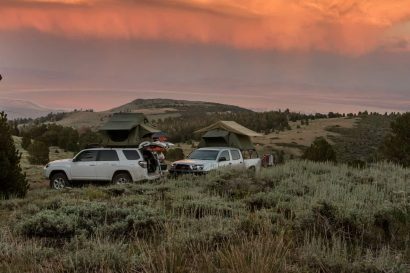 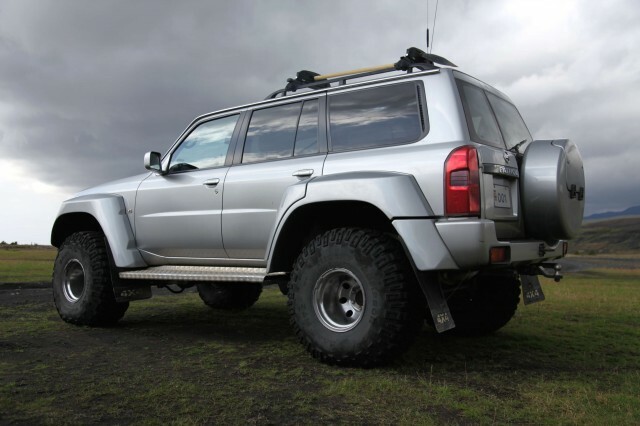 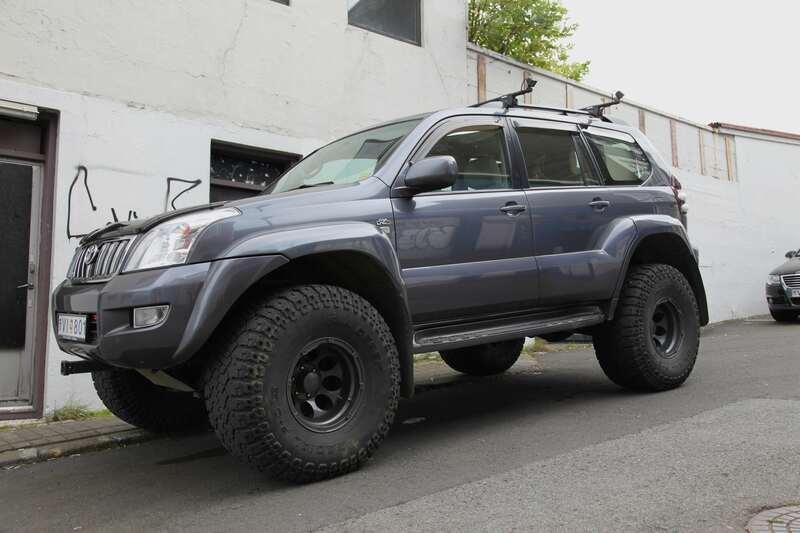 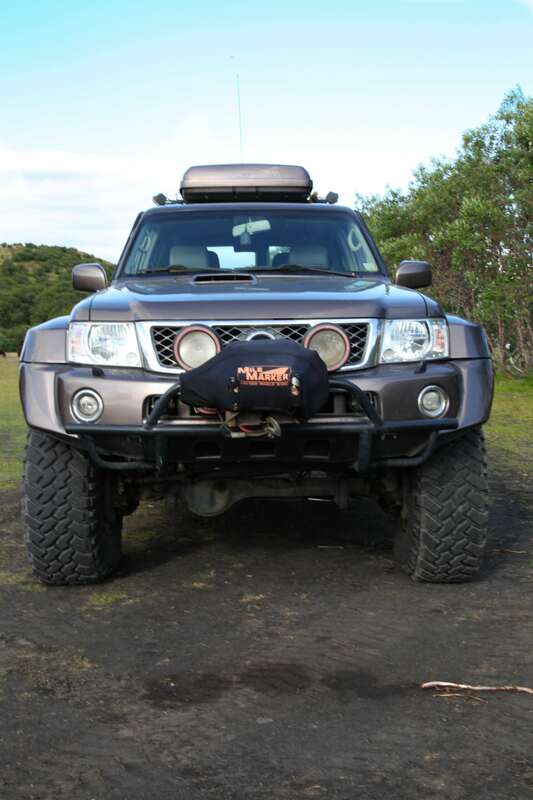 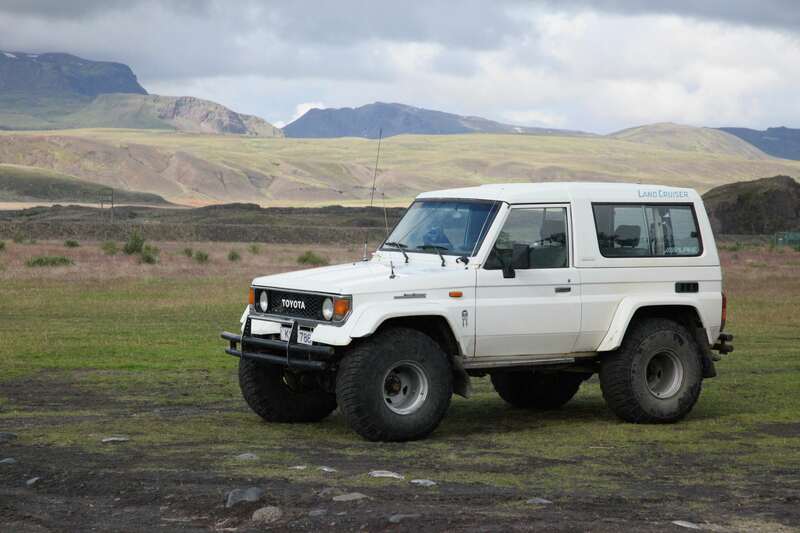 With a proper low range, gas sipping engine, and surprisingly comfortable accommodations for two, it does far better than most overlanders would dare admit. 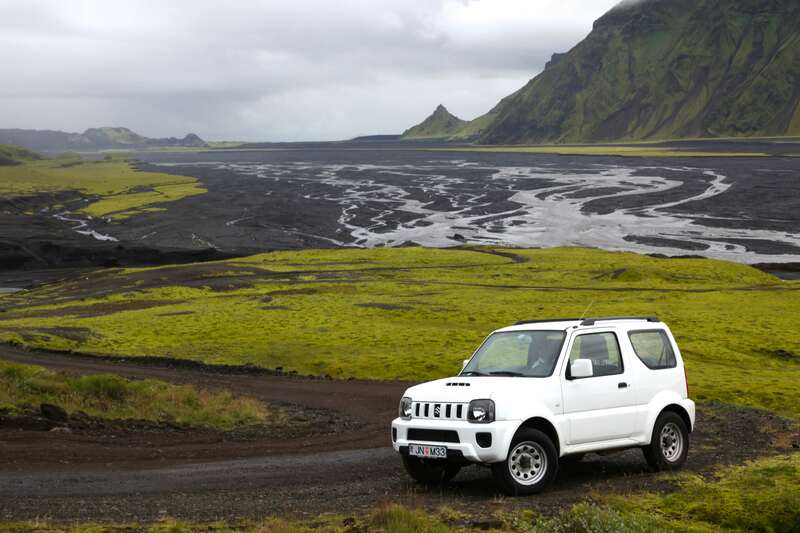 We found the Jimny to be a fun way to explore the varied roads, including the rugged F-roads. Fording rivers in an Arctic Truck is no fun. 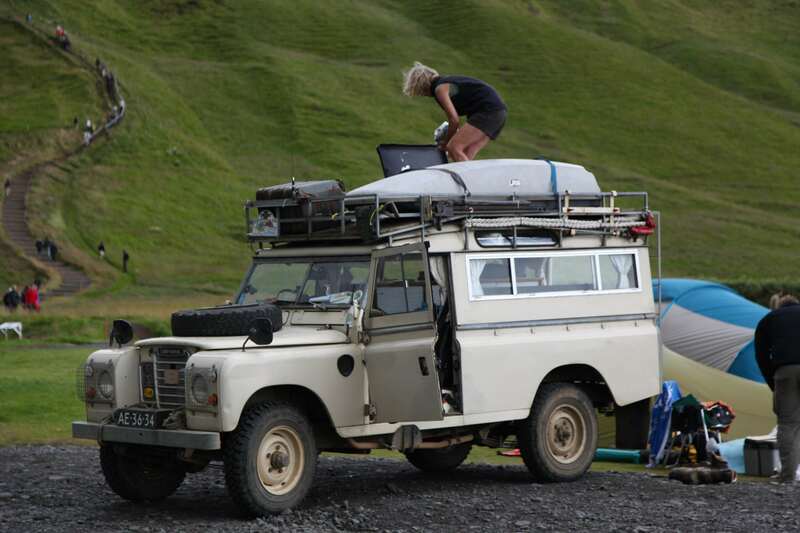 Doing it in a car the size of a bloated lawn mower, now that is exciting. 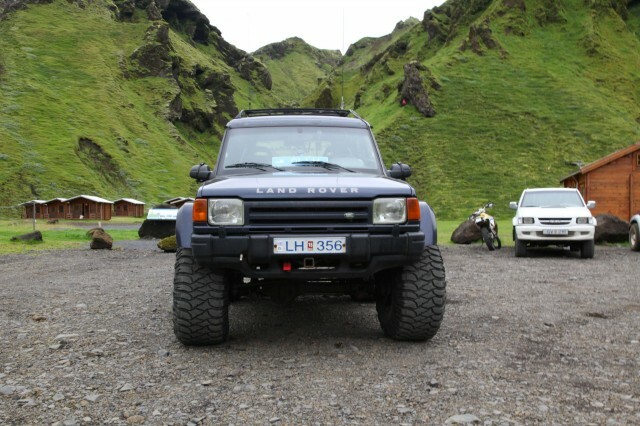 We forded many rivers, some of which were headlight deep. 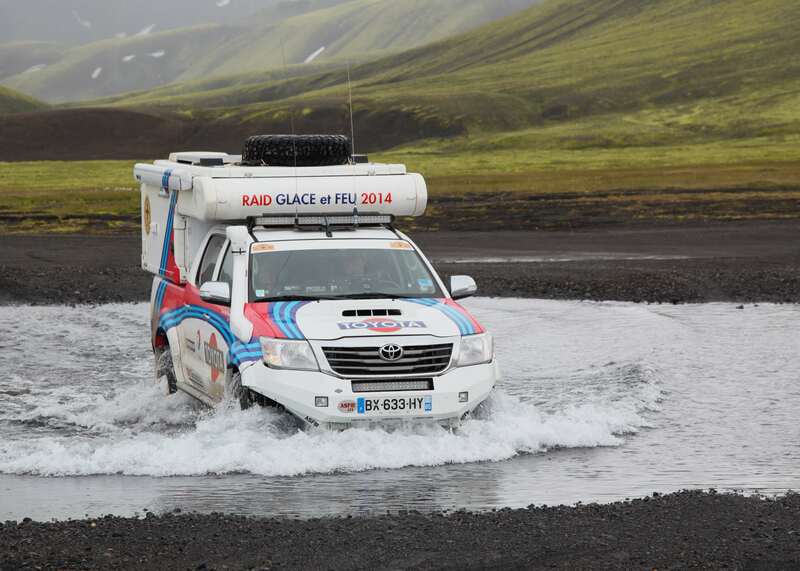 The real thrill is knowing that once the wheels touch water, your insurance is no longer applicable. 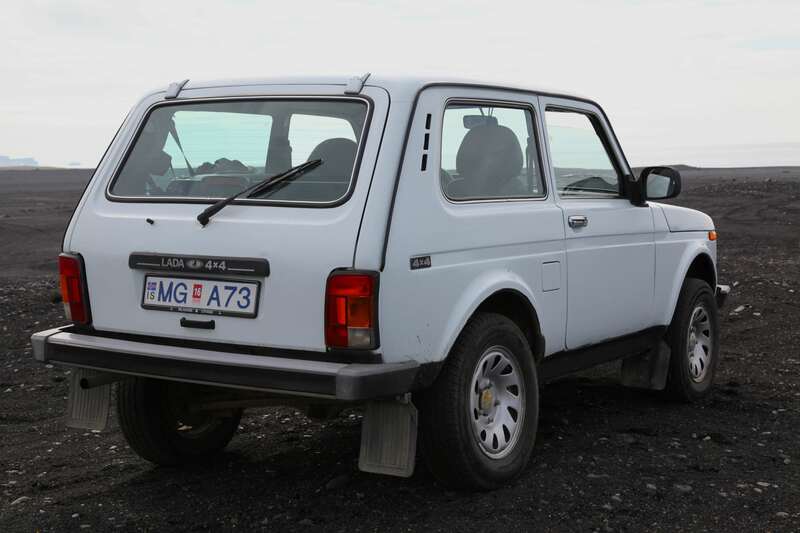 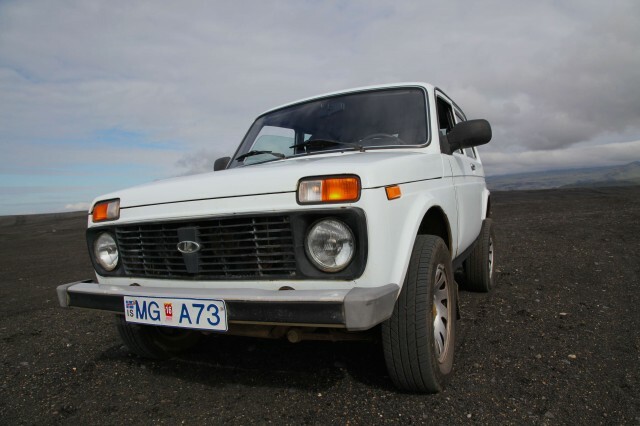 The Lada Niva, usually in less than showroom condition, is a popular budget rental. 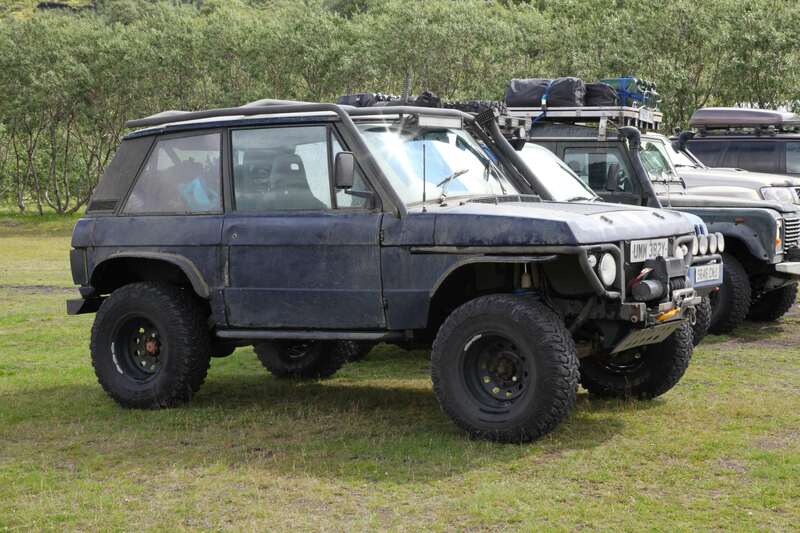 This Niva was so rusted, it looked as if it could have crumbled at any moment. 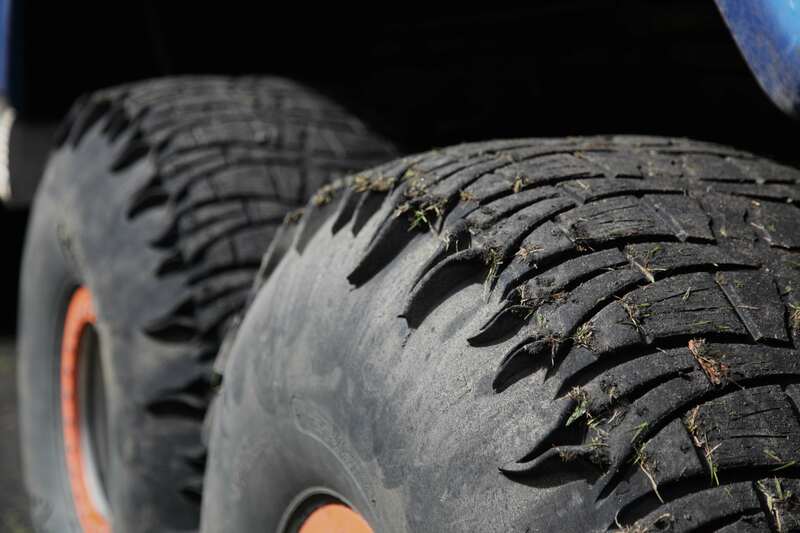 By the time you read this…it may have. 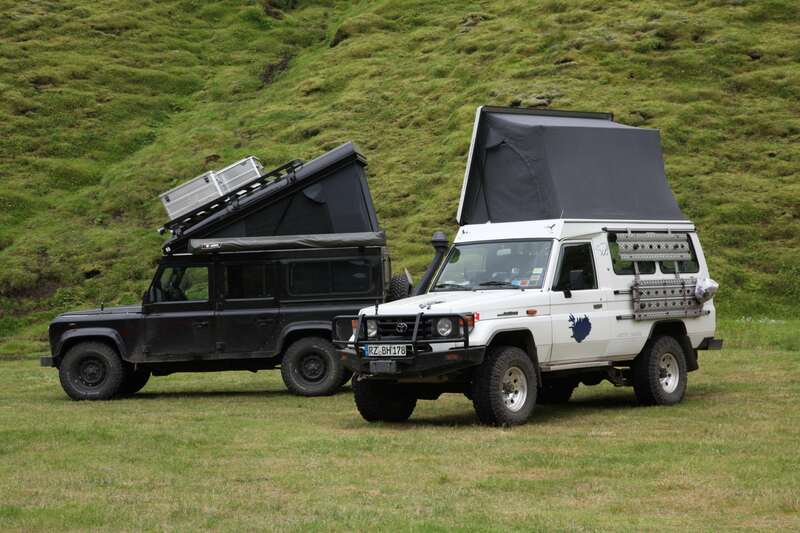 Several clubs and organizations from around the EU come to Iceland to conduct group runs and rallies. 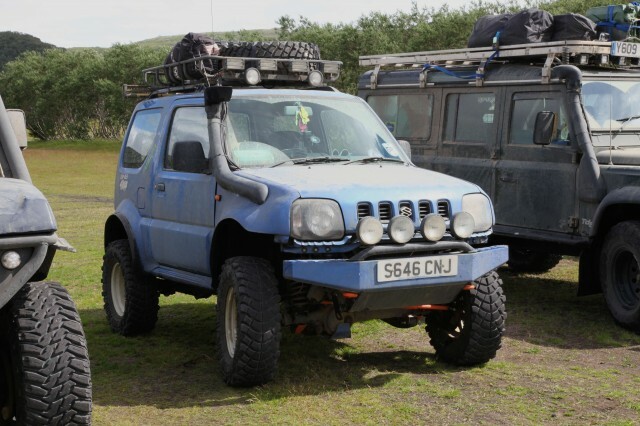 This fellow was obviously annoyed to have a Jimny on his six. David and Goliath. 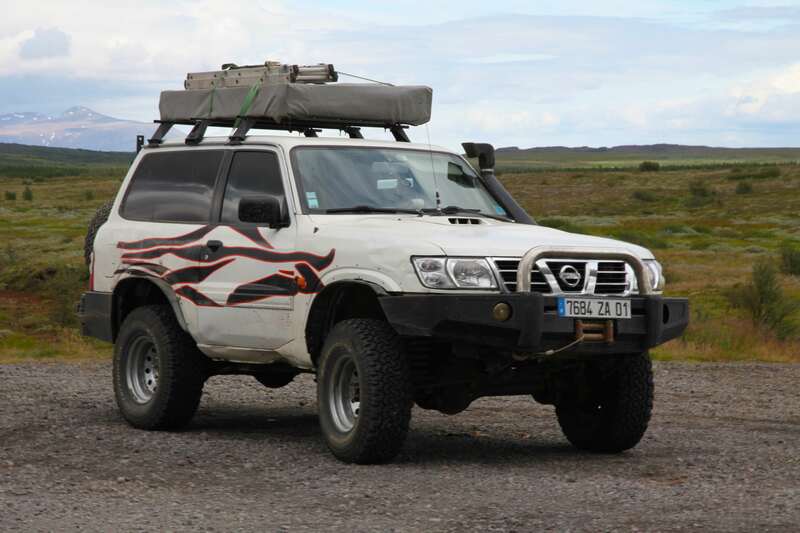 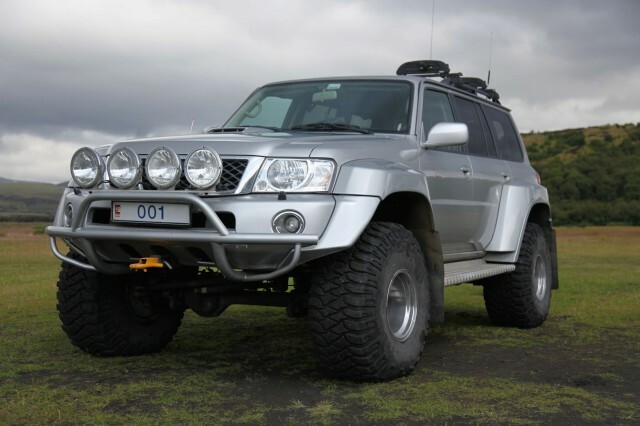 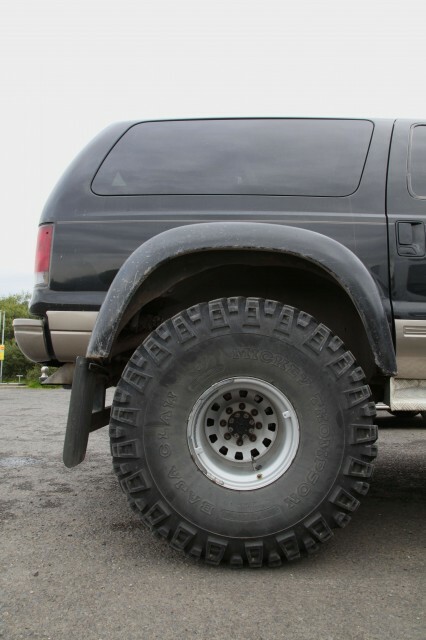 The owner of this Expedition said he only drives it a few times a summer as it’s primarily his winter rig. He said it isn’t the 5 miles per gallon that keeps it parked. It’s the $2100 tires that he doesn’t want to burn up. Another Patrol with cargo trailer taking supplies to the huts. 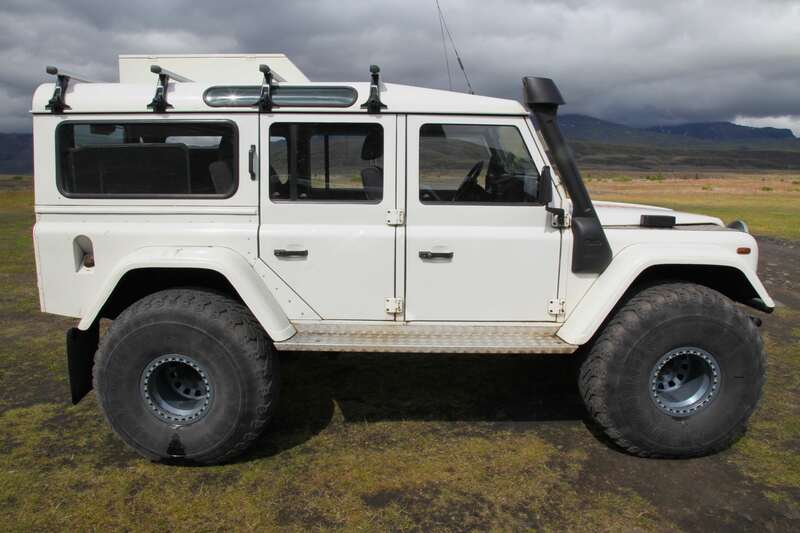 The couple driving this Defender said they had originally intended to visit the interior roads of the island, but didn’t feel comfortable crossing rivers. Alas, it spent two weeks on hard tarmac. Even in the city of Reykjavik, big trucks are the norm. 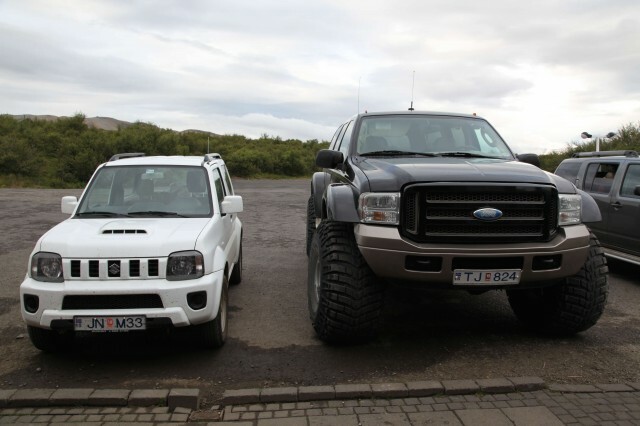 This Jimny forded a river that many full size trucks avert. 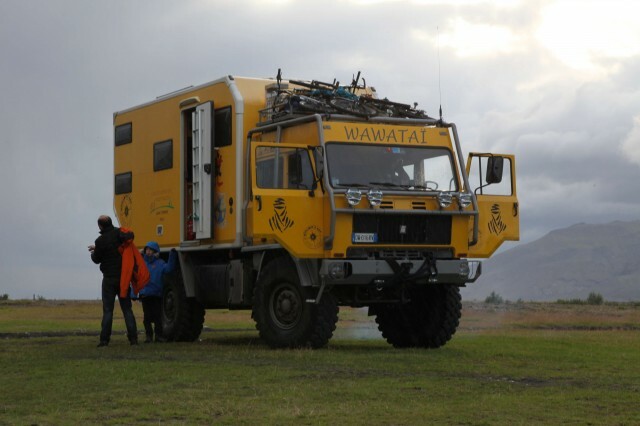 The river crossing at Porsmork is a legendary truck killer. The driver said he was going to take the 85 mile detour around the river on the way home. Press your luck once…. 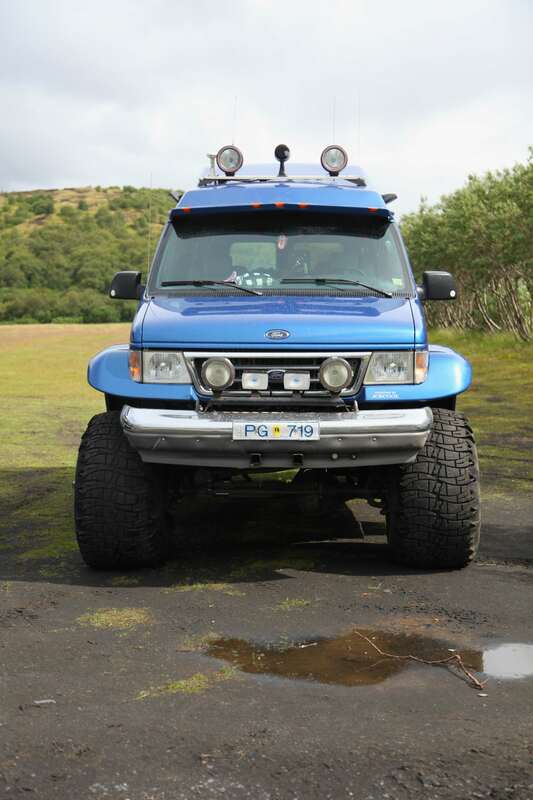 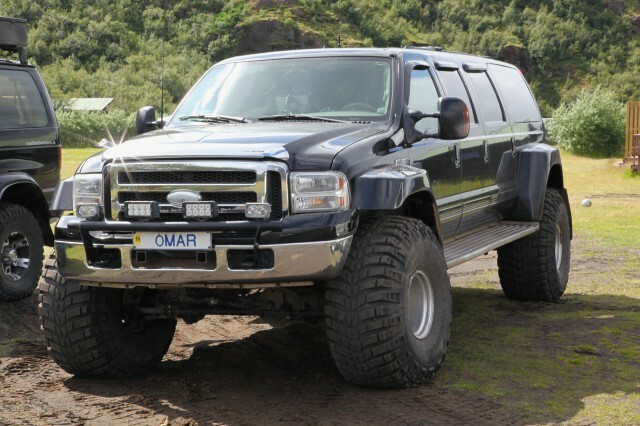 Hard as it is to believe, these were just a handful of trucks I saw on the roads and backroads of Iceland. 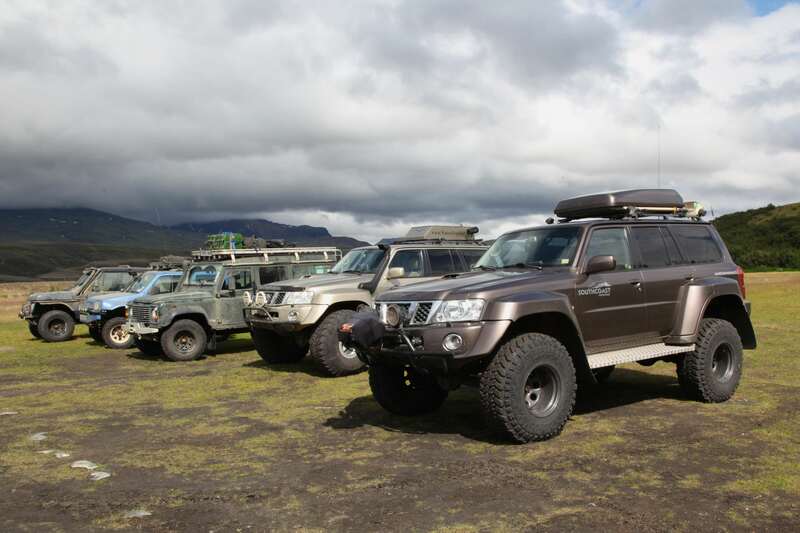 If you fancy an interesting overland experience with the opportunity to ogle trucks of all shapes and sizes, make your way to this tiny island in the Greenland Sea. 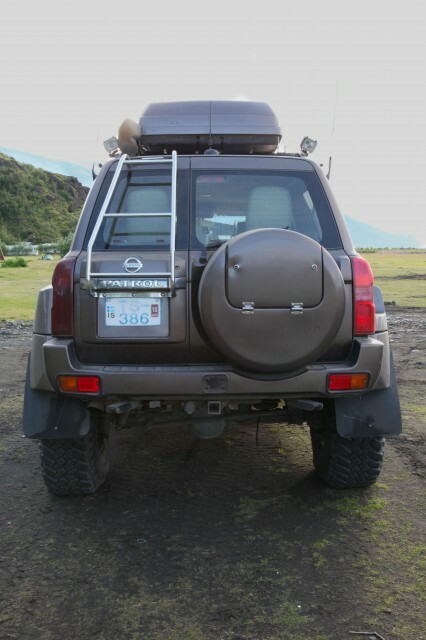 Take a jerry can if you can. With gas at over $8 a gallon, you’ll need it. 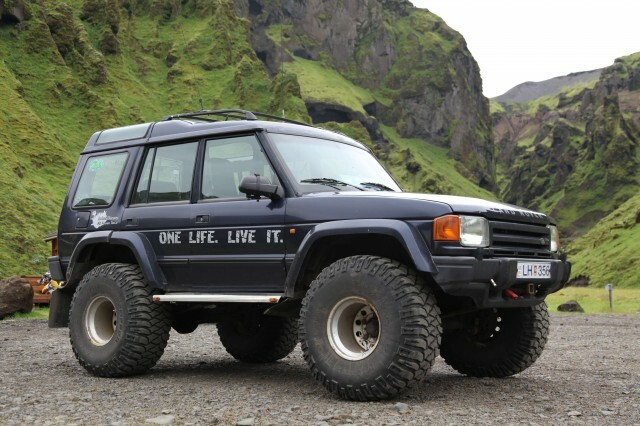 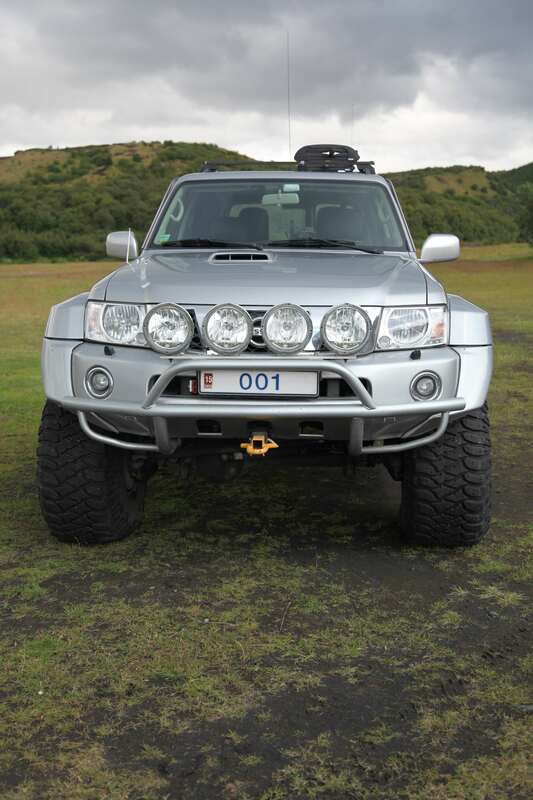 Or, a Jimny.